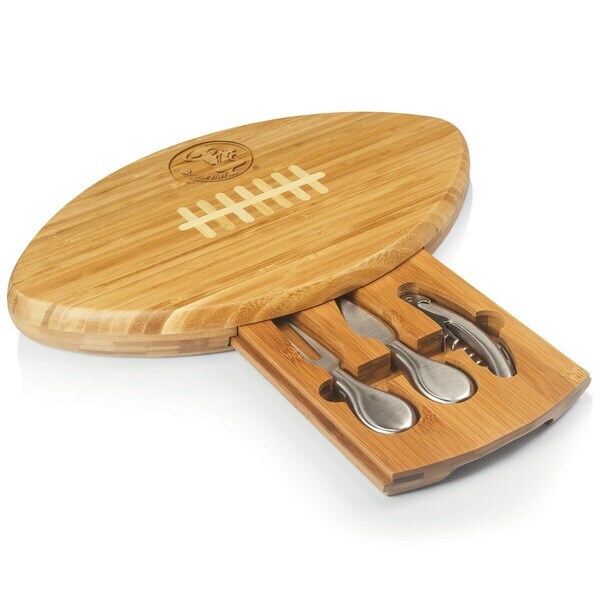 The Quarterback cutting board and tool set is a 15 inches x 8.75 inches x 1.5 inches board made of eco-friendly Bamboo with a professional football design. With 95 square inches of cutting surface, it can be used as a cheese board or serving tray and comes with three hollow-handled brushed stainless steel tools including one pointed-tip hard cheese knife, one cheese knife, and one waiter-style corkscrew. Let the Quarterback help call the shots at your next game-watching party.